There actually is more room for hip hop to debase itself in its unhypocritical rush for cash! McDonalds has found it! The only thing by EL Doctorow that hasn't completely bored me is his Canongrate introduction to the book of genesis. Philip Larkin is becoming the Terry Schiavo of poetry. Is he ever going to stop releasing new books? Should we put the tube back in? If only he'd known it would be like this. He wouldn't have worried so much about The End. The Joys of (Laughter.) Where does the (Laughter.) come from when the President is speaking? And he didn't want to risk any vote loss by letting people see him in a wheelchair. (Laughter.) "
In all these cases, there's no reasonable explanation for why (Laughter.) is laughing. Apart from the power of the President and the terror it must inspire. A statue of Peter Pan giving Wendy her kiss will soon get a tiny angry addition: "The new statue will be attached to the existing Peter Pan. The jealous fairy will be shown trying to wrest a thimble given him by Wendy, in lieu of a kiss, from Peter's finger." This 18-cm addition changes the sculpture from one about the pubescent dawn of attraction, to the older generation's jealous fight against that moment. Can we do the same to other sculptures. Maybe we should be adding something other than a cigarette to Oscar Wilde's statue? 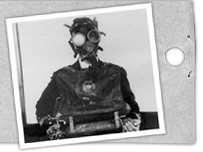 DW Griffiths's "Birth of a Nation" without the boring bits and with a soundtrack by DJ Spooky. Having suffered through hours of the movie, I'm a bit angry that this 5 minute excerpt manages to collect 60% of the movie's artistically (and not just racially) provocative images and moments. 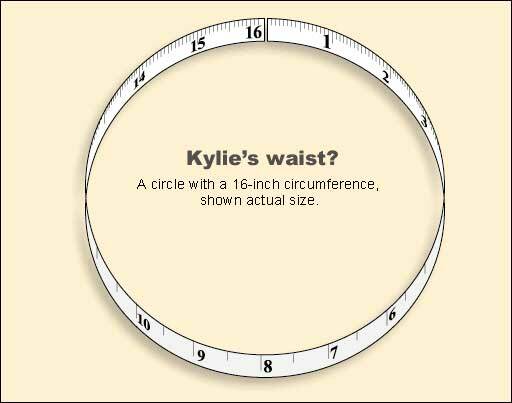 But of course Kylie Minogue's corset reduces her waist's circumfrence to that of a tea cup's saucer. I read it in a newspaper. Several, in fact. British journalism at its best. Gram Parsons: During the funeral ceremony for Gram's close friend Clarence White, Gram was overheard stating that when he died, rather than being buried in the ground, he would like to be taken out to The Joshua Tree desert of southern California and burned. After Gram died in The Joshua Tree Inn, his body was taken to the Los Angeles International Airport in preparation for being flown to Louisiana for burial. Gram's road manager Phil Kaufman and a friend, Michael Martin, got very intoxicated, borrowed a broken down hearse and drove to LAX to retrieve the body. When they arrived, they told the shipping clerk that Gram's remains were to be sent out of another airport, flashed some bogus paperwork and falsely signed for the body. After crashing into a wall and almost being arrested, Phil, Michael and Gram drove back to The Joshua Tree Desert, stopping only to buy more beer and a container of gasoline. They took Gram's remains into the desert, poured gasoline inside the coffin and set him ablaze. Adolf Hitler: Adolf Hitler was so crippled with anxiety during his final days that he would scratch his neck and ears until they bled and demanded that his toilet water, as well as the water in which his eggs were boiled, be constantly analysed for traces of poison. Before he took his own life he ordered his valet, Heinz Linge, to pour petrol over his body and burn it. "You must never allow my corpse to fall into the hands of the Russians," he told Linge. 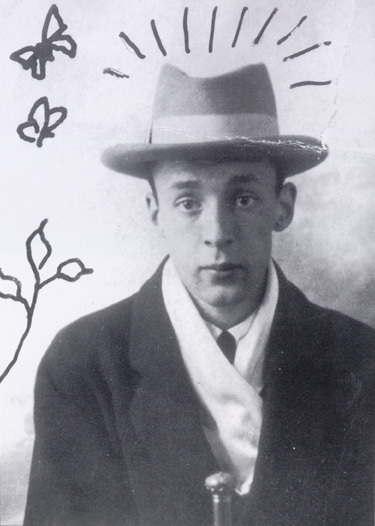 "They would make a spectacle in Moscow out of my body and put it in waxworks." George Clooney and Lake Como: Are they about to split? What happened to Bosnia's catholics? "Bisera, which means 'pearl,' lives in a lean-to shack in Sarajevo's Vratnik district, in a state of poverty that is shocking even in impoverished Bosnia. Too ill to talk much - she has flu - this Bosnian Catholic mother of seven mopes around the squalid, freezing shack, her children stacked on and around the one bed they all share." In the late 60s, Michel Foucault sais that man, as in humanity, was a concept on the verge of extinction: "Man will be erased like a face drawn in sand at the edge of the sea." For academics and other right-thinking people, Foucault's prophecy was as good as an order, and they erased it. But, to make a tediously banal observation, the notion that humanity is a contructs is itself a construct and one that may be on its way out, as far as scientists are concerned. Of all the Po-Mo conceits, however, this one was my favorite. It was inspiring and liberating. I guess it created some problems -- a (to me, fishy) NY Times Sunday section led an attack last year on those who said that medicines have the same effect on white-skinned people as black-skinned people. But it also opened up a huge range of possibilities as to who you could decide to be. This poem was dated 1754, and there were many more entries of Agers, Nathaniel, Frederick, William, and so on, ending with William, 19--. The latest Jack Chick tract is a good, formally interesting one, even if not a full-blown classic. It has a wonderful penultimate panel: "[A]fter death, when you're in that horrible, dark place... You'll remember reading this little gospel tract.... And you'll curse yourself throughout all eternity for making the wrong decision." MacLamity thought that Slate was being unfair when it said "The woolly mammoth was far too specialized—and too dumb—a beast to adapt to its changing environment. The producers at CBS News may be specialized, but they're not stupid." Too dumb indeed! MacLamity has had an awe for woolly mammoths, one greater than his awe for dinosaurs, ever since he saw a stuffed, fake Woolly Mammoth in the Isle of Man museum. Woolly elephants walked the earth and were hunted for meat! In the Isle of Man! It was a proof that anything was possible, even if your chances of seeing anything happen were slim. Man was certainly in Europe and possibly even in Britain, which was then united to the Continent by continuous dry land, before the ice-age ; but no remains of that earliest inhabitant have yet been found in the Isle of Man. Eemains of the earliest Stone Age have been met with in the south of England and as far north as Yorkshire. These were the men of the Palaeolithic Age, when the use of metals was not known and the stone implements were rude and unpolished. These primitive weapons, tools and other remains are found in association with the bones of long extinct animals characteristic of the Pleistocene period, such as the mammoth, the cave bear and cave lion, the bison, a hyaena, and the woolly-haired rhinoceros. No traces of the presence of man at this early period or of any of such extinct mammals have, as yet, been found in the Isle of Man. The cynics have lost a valuable member. All it took was a trip to Africa for Deborah Ross to drop her distaste for "all that first-world red-nosed japery and then images of flies buzzing round a small child's eyes." We're way beyond postmodernity when an event that has banned TV cameras is re-enacted live on television. This is something else. And what is the actor playing Michael Jackson going to do? " "He'll be doing next to nothing for the first few months, not strenuous at all until we get to the defense's presentation. Frankly, he may go through this show with not a lot to do. It could either be a huge acting job or a little one."